September 8th 2016. York, UK. 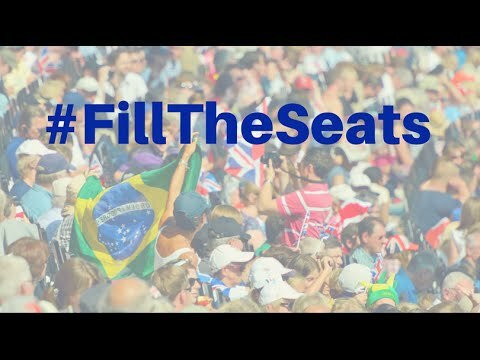 Cellhire has purchased 200 children’s tickets for the Rio Paralympics in support of the “Fill The Seats” campaign [#filltheseats] backed by Prince Harry to help raise attendances at the event by buying and giving away a total of 10,000 tickets to underprivileged children in Rio and beyond. The tickets, costing US$30 each and totalling US$6000 [about £4500] for Cellhire, include entry to events, transport and food. Cellhire is closely linked with the Rio Olympics and Paralympics – thanks to its position as a preferred supplier of vital mobile telecommunications equipment including SIM cards, smartphones, and MiFi devices (portable, wireless routers) and other value-added telecoms services to major global media organisations, sponsors, Olympic Federations and teams and other visitors at the events. “We are very keen to put something back into the local community in Rio and beyond while giving support to the Paralympics, which we know are highly valued by Paralympians and sports fans the world over,” said Tim Williams, Cellhire’s Chairman and CEO. For the Rio Olympics Cellhire has delivered a record-breaking 20,000 connections, 4,000 of which will be used during the Paralympics, which started on September 7th. This has been Cellhire’s most successful overseas event to date after London 2012. That was set up by an individual, but, as of the 30th August, the IPC [International Paralympics Committee] and Rio 2016 announced a formal backing for it. Founded in York in 1987, Cellhire is a specialist global service provider. The company’s success is built on providing the very best wireless solutions available anywhere and the company prides itself on being easy to do business with. Cellhire is a leading supplier to organisers and businesses during events such as the Olympic Games, FIFA World Cup, UEFA Euro finals and The Cannes Film Festival.